An Emmy Award-winning and Oscar-nominated actor and Illinois native returned to his hometown Tuesday and shared insights with students at Northern Illinois University. Richard Jenkins was born and raised in DeKalb and attended Illinois Wesleyan University. He later embarked on a career in theater, film, and television that now spans more than forty years and 111 credited screen roles — and counting. Jenkins said concentrating on how to be better at his art put him in a position to succeed. He advised the students to do the same. 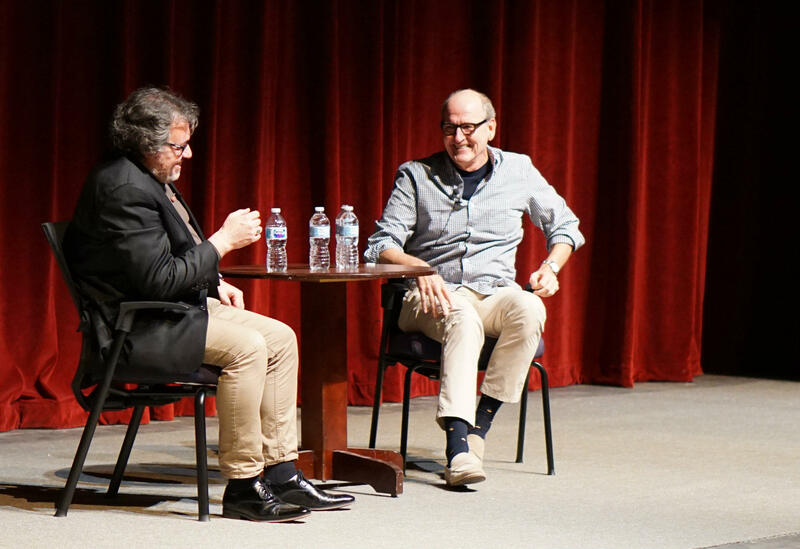 Jenkins was in town for the final showing in the Egyptian Theatre’s Richard Jenkins Film Series, which featured movies picked by Jenkins as his personal favorites.